Find the good old taste of the strawberry in this version full of freshness! 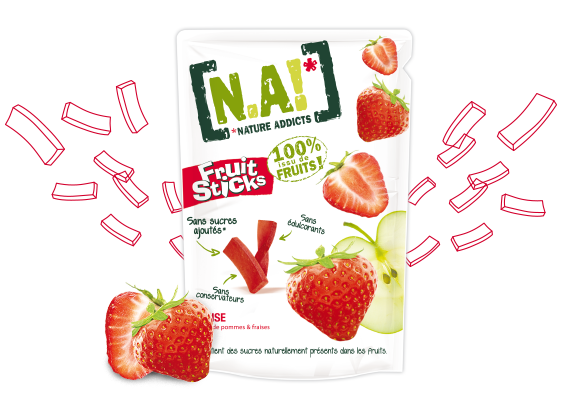 Fruit Sticks are 100% natural and sweetened naturally by the sugars found in the fruit! Tasty and super fresh, strawberry-flavoured Fruit Sticks offer a delicious break whenever you’re feeling peckish at any time of day, at school, after your daily exercise, at work or at home!!! Forbidden fruits are the best fruits !